SCI Foundation has designated February 3, 2015 as “Foundation Day” and will kick off the 2015 SCI Convention. The day’s exciting festivities will benefit the Foundation and support its many programs. Foundation Day begins with a bang with the 3rdAnnual SCI Foundation/Boy Scouts of America Sporting Clays Shoot. The event will benefit both SCI Foundation and the Boy Scouts of America. Funds raised at the event will help both organizations provide youth with more opportunities to be involved in shooting sports. 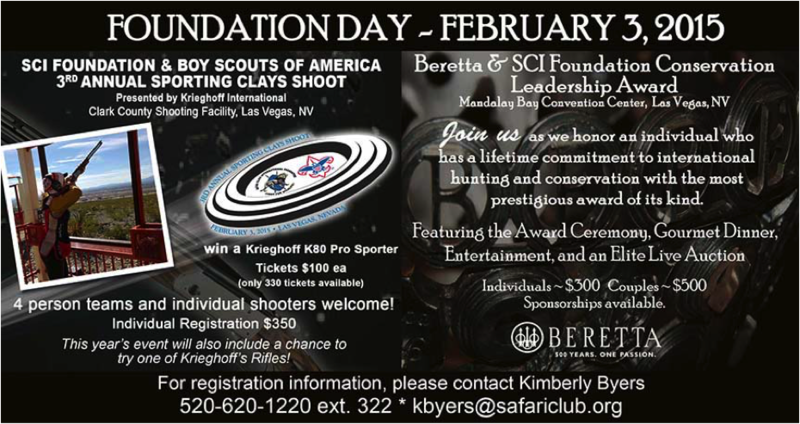 Krieghoff International has once again pledged to sponsor the shoot by donating a Krieghoff 32″ K-80 Pro-Sporter under/over, 12 gauge shotgun valued at over $11,000. The clay shoot will take place at the Clark County Shooting Complex in Las Vegas, NV. The evening will culminate in an exclusive, black-tie event which will feature the 2015 Beretta Conservation Leadership Award ceremony. The Beretta Conservation Leadership Award, the most prestigious award of its kind, honors an individual who has demonstrated extensive international hunting experience and a lifetime of commitment to wildlife conservation and education though volunteer service and philanthropy. 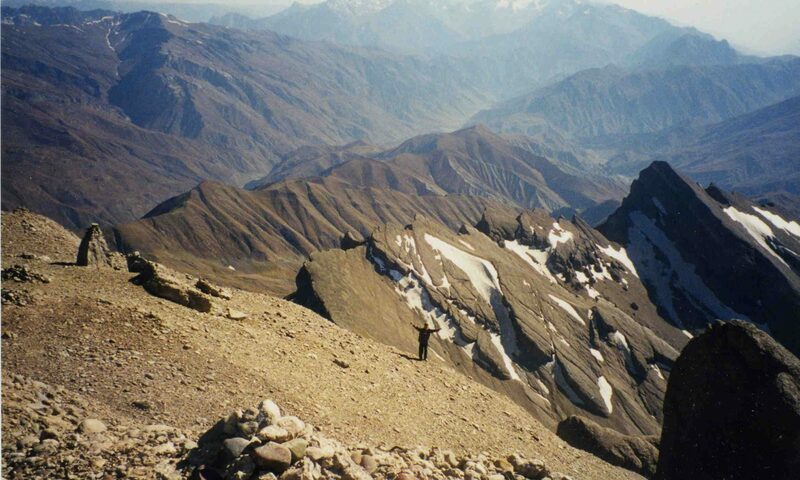 Winners will not only be required to have extensive hunting experience, but will also be required to have contributed generously to Conservation, Education and Humanitarian Services efforts in both time and financial resources. This award is open to anyone in the hunting-conservation world and is not limited to SCI members. The night features a gourmet dinner, live entertainment, and an elite live auction. The one-of-a-kind auction items include a custom watch by Montana Watch Company, an original oil painting by Gary Swanson, several amazing hunt and vacation opportunities, and a beautiful custom engraved Beretta 486 Parallelo 20-gauge side-by-side shotgun. The inaugural 2015 Conservation Leadership Award Gala will be held in the South Seas ABE on level 3 of the Mandalay Bay Convention Center in Las Vegas, NV. Cocktail hour will begin at five o’clock and dinner at six o’clock. Foundation Day is sure to be full of excitement and surprises. Be sure to include Foundation Day in your plans when making your reservations for the 2015 SCI Convention.